[A] Which two countries have the world's longest land borders? [Q] Which two countries have the world's longest land borders? The United States of America is the world’s fourth largest country and Canada is the second largest. It is hardly surprising then that the two share the world’s longest land border between two nations. Scattered along the 5,525 miles are hundreds of cities, towns and villages in addition to islands, lakes, national parks and waterfalls. Here’s six towns that will brighten up any journey along this immense frontier. 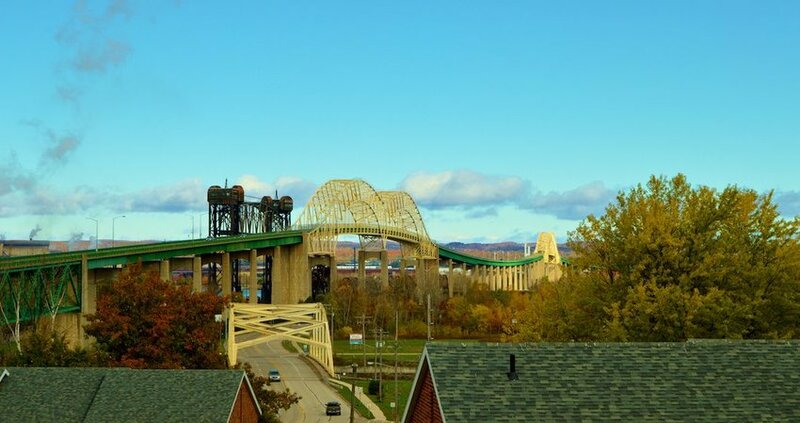 Derby Line, and its Canadian neighbor Standstead, Quebec, are one of the finest examples of a border town. The two share several streets, although the names change into French once you get into Canada. Rumor has it that officials were inebriated when mapping the border, and today it zigzags around houses and through public buildings. The best instance of this is at Haskell Free Library and Opera House, where the entrance is in the U.S. and the books in Canada. This is also the only place in the world to have a stage in one country and the audience in another. Just nine miles south of the border crossing between Montana and British Columbia is Eureka, a gateway to superb outdoor adventures. There’s great hiking on the Pacific Northwest Trail, which travels along the Tobacco River at the edge of town. 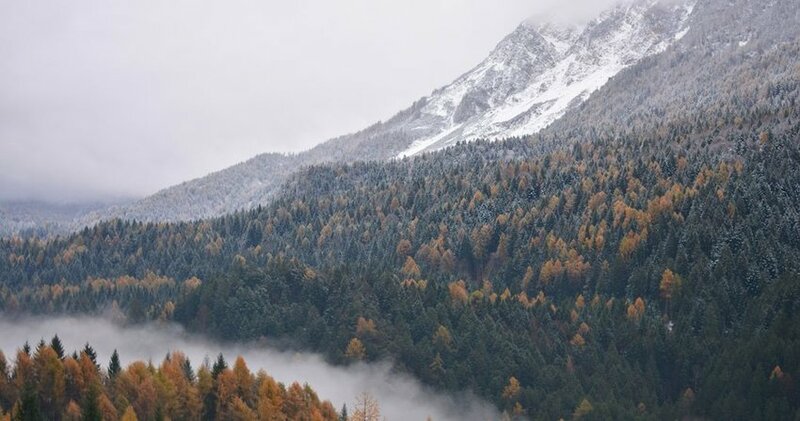 Drive south on the Lake Koocanusa Scenic Byway with tall pine forests on one side and views across the Kootenai River to Kootenai National Forest on the other. The fishing is superb at the Ten Lakes Scenic Area, as is the skiing at Whitefish Mountain Resort. Eureka is also only a 90-minute drive from the heart of Glacier National Park. International Falls has the cult claim to fame of being the inspiration for Frostbite Falls, the hometown of the protagonists from The Adventures of Rocky and Bullwinkle and Friends. 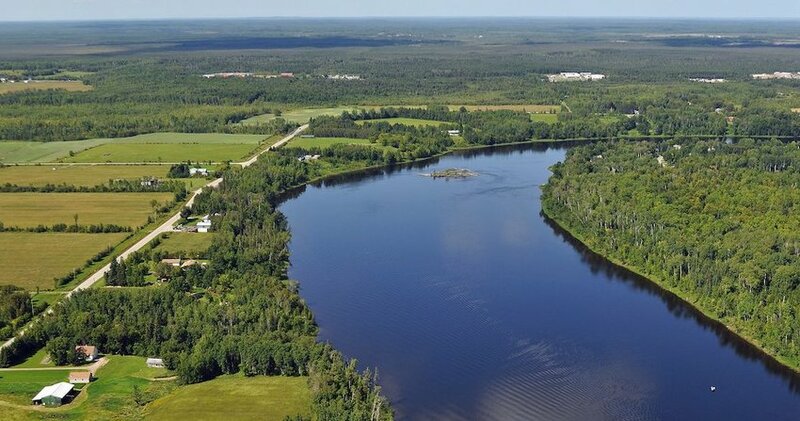 The city lies on the opposite side of the Rainy River from Fort Frances, Ontario, and at the point where the river meets Rainy Lake. A major attraction of the town is the opportunity to view the aurora borealis (northern lights) from Voyageurs National Park. Across the river, Fort Frances is a starting point for cross-country skiing, ice-fishing and snowshoeing in Ontario. A bayside setting and clapboard houses surrounded by white picket fences give Lubec a quintessential New England charm. Interestingly, for geography fanatics at least, this is the closest point of the U.S. mainland to Africa. While here you can visit the McCurdy Smokehouse Museum, which retraces the town’s once booming smoked fish industry. 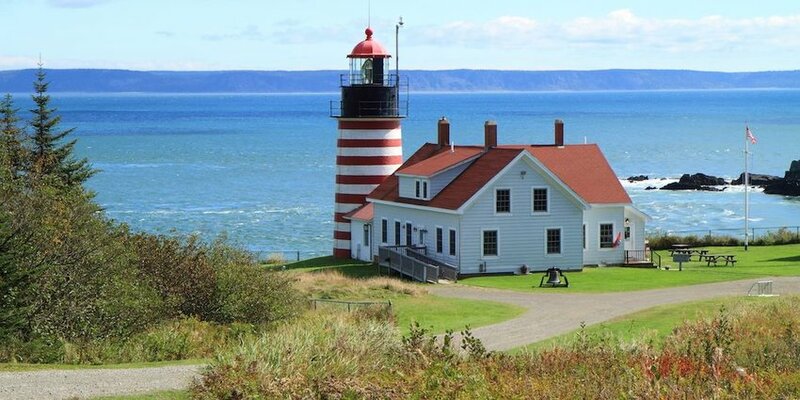 South of town, the picture perfect West Quoddy Head Lighthouse has great views over the Bay of Fundy. 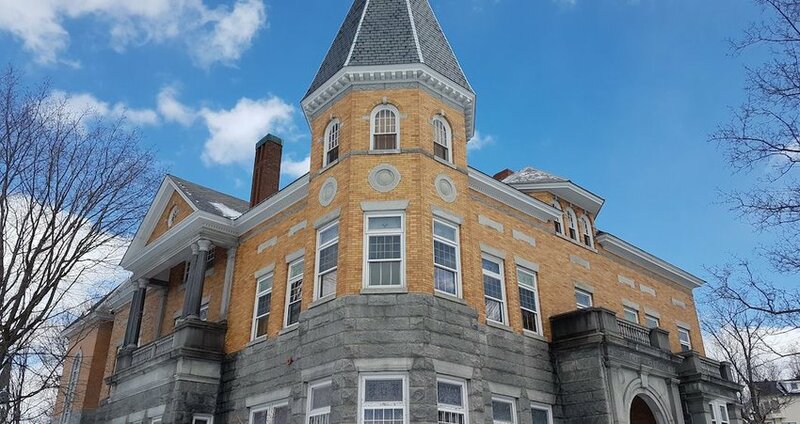 Passport in hand, cross the Lubec Narrows waterway and visit Roosevelt Campobello International Park, an island retreat and former summer residence of Franklin D. Roosevelt. Straddling one of the world’s most impressive waterfalls are two cities that go by the same name and are linked by the arched Rainbow International Bridge. The Niagara Scenic Byway brings you into New York State’s Niagara Falls, the home of the Niagara Falls State Park. Come here to ride the Maid of the Mist boat and descend slippery wooden walkways to the Cave of the Winds. 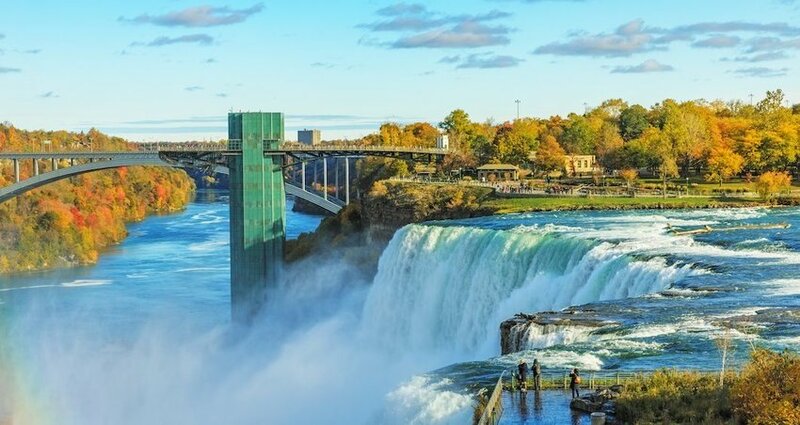 With amusement arcades, quirky museums, an observation wheel, and vibrant nightlife, the Canadian Niagara Falls is somewhat of mini theme park. There’s unbeatable views of Horseshoe Falls, too, and the fascinating Journey Behind the Falls attraction. Not bad for a 30-minute drive from Buffalo or 90-minute car journey from Toronto. Until 1812, Sault Ste. Marie, and its namesake sister city in Ontario, were one city that sat on either side of St. Mary’s River. Today the aptly named Sault Ste. Marie International Bridge connects the two. In Michigan’s version, history fanatics flock to the Museum Ship Valley Camp to learn about the wrecked SS Edmund Fitzgerald. The Tower of History affords uninterrupted views of ships arriving at the river’s canal locks. A 40-minute scenic drive from downtown is Point Iroquois Lighthouse, the place where Lake Superior flows into St. Mary’s River. Over the bridge you’ll find a pretty 19th-century red sandstone storehouse at Sault Ste. Marie Canal and riverside walking trails at Whitefish Indian Island Reserve.